Dave Davis was indoctrinated into the world of professional fishing when his former company, off-road lighting manufacturer Rigid Industries, decided to expand into other segments. Perhaps the best way to describe Dave Davis is to call him a reactive innovator. 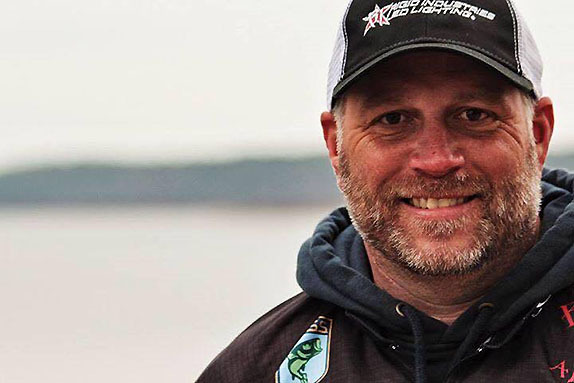 The 48-year-old Arizona resident has a knack for developing and marketing products that are useful to anglers, but also have a "cool factor" to them. The stuff he sells isn't necessarily ground-breaking, as there might be other products out there that perform the same function. His objective with his new company, DD26 Fishing, is to turn out things that perform as well or better than any other, but also possess enough flair to attract attention in their own right. DD26, named after Davis' initials combined with his old football jersey number and also a World War I-era destroyer ship, recently announced the release of several products manufactured from billets (pieces of cast metal with round or square cross-sections). Included are the Mean Mount transom saver (which will initially be produced for Mercury two-stroke and four-stroke engines), Mean Stops hydraulic steering locks, the Bandit Beam tournament culling beam and Bandit Cull fish tags (manufactured in conjunction with Cal Coast Fishing). All are available in seven custom colors. 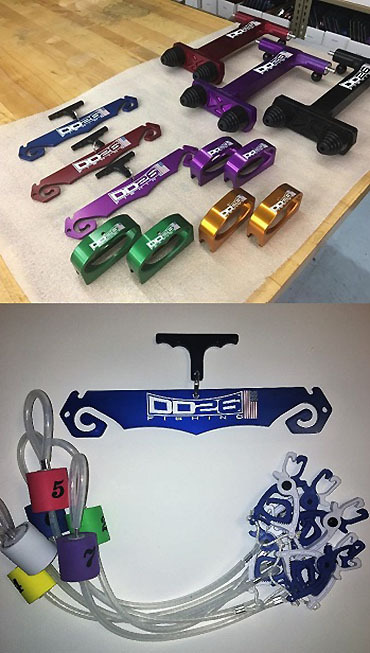 The company also has a presence in several other categories that include rods, tools, clothing, weigh bags and rod sleeves. DD26's product lineup includes transom savers, steering locks and culling beams and tags. Davis, a former co-owner of off-road lighting manufacturer Rigid Industries and later at Crossed Industries (which develops automotive lighting packages geared for anglers), was indoctrinated into the professional bass fishing world several years ago when Rigid made a concerted effort to expand into new markets (agriculture, mining, marine, military, fire and rescue, etc.). 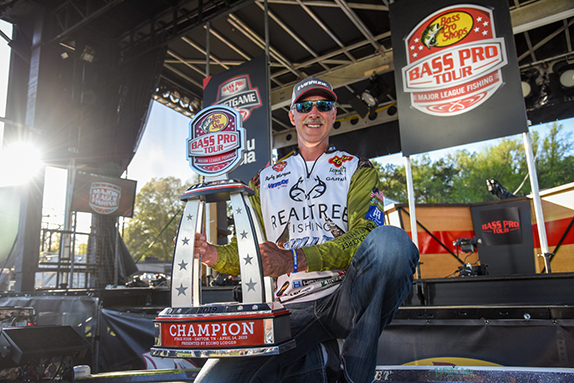 He was introduced to Brandon Palaniuk, who became the face of the company in the fishing segment, by Topwater Clothing founder Brad Altman. "My initial outlook for marine was 39-foot Contenders and Intrepids � boats that I could put 10 lights on," said Davis, an Illinois native who's lived in the Phoenix area for nearly two decades. "I wasn't thinking about bass boats at all. "I got hooked up with Brandon and he said to send him a light or two and he'd try to put them on his truck. 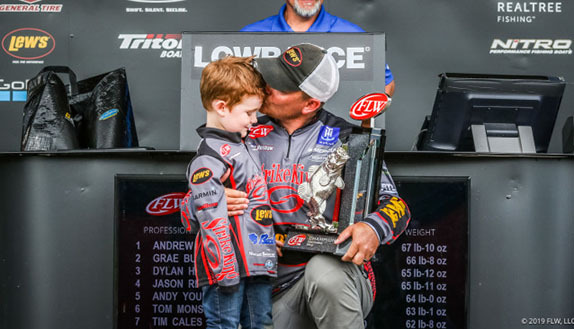 The following year he won at Bull Shoals and, I'll never forget this, he pointed to me and said, 'You're going to be my title sponsor next year.' That's how I got launched into the fishing world." At the moment, his company consists only of himself and he also holds a sales job in the semi-conductor industry. He expects to add employees at DD26 during the first half of 2019 as demand for the product lines increases. "The billet stuff, in my opinion, is what's really going to drive our sales and the cull tags have the potential to do some decent numbers as well," he said. "What'll really make it happen is dealers coming on board and at this point we're actively seeking them out. "We've done really well with the (transom savers) over the past month. They're a significant portion of the business." 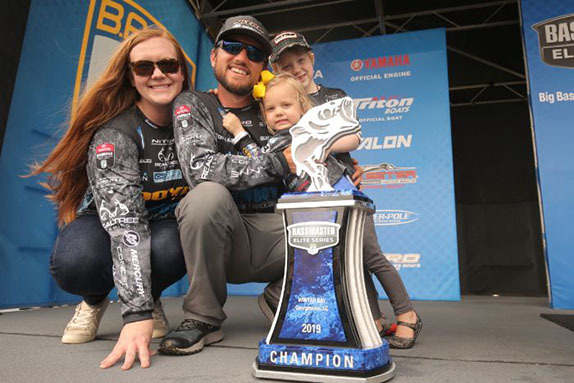 Davis, the father of three daughters (including 10-year-old twins), enjoys operating in the niche segment of the fishing sector. While at Crossed Industries, he made it a habit to take daily walks around both his truck and boat, trying to come up with ideas for products that were missing in the marketplace. "I'm very anti-patent infringement � we had a lot of that going on back in the Rigid days," he said. "We're trying to create new and innovative things in an industry that has its cores and staples. For the core stuff (such as the DD26 rod line), we'll have one of the better companies private-label them for us. We don't want to go and bastardize something that's out there; we'll ask them to make it for us instead. "At Rigid, we made the light bulb cool. Now, how do you do that with a motor tote? We think it can be done by changing the look and matching it up with the steer stops and the beams. "Quality and customization is what we're after," he concluded. "That's something we were pretty familiar with at Rigid and it's always nice when you're making and selling products you truly believe in."